May 18 was the beginning of the 450th anniversary of the Siege of Malta (1565). The Siege was one of the great clashes of civilization between Christian Europe and Moslem Asia. The Ottoman Turks had set Islam on the road of conquest again pushing into the Balkans and then into the central Mediterranean Sea. Standing in the way of the Grand Turk, Suleiman the Magnificent, were the Knights of St. John, better known as the Knights Hospitaller. The Knights had raided Moslem shipping from their base in Malta to the point that Suleiman had decided to deal with them once and for all. The Turks landed a force of about 45,000 men arrayed against about 6,100 that included 500 Knight Hospitaller, 2,000 men at arms, and 3,000 Maltese. An epic siege ensued for the next five months where the Turks beat themselves against Fort St. Elmo and then Fort St. Angelo and Fort St. Michael. A relief force from Sicily attacked the retreating Turks who left at minimum 10,000 dead behind. The Turk had been stopped. The Battle of Lepanto seven years later would put an end to Ottoman expansion. 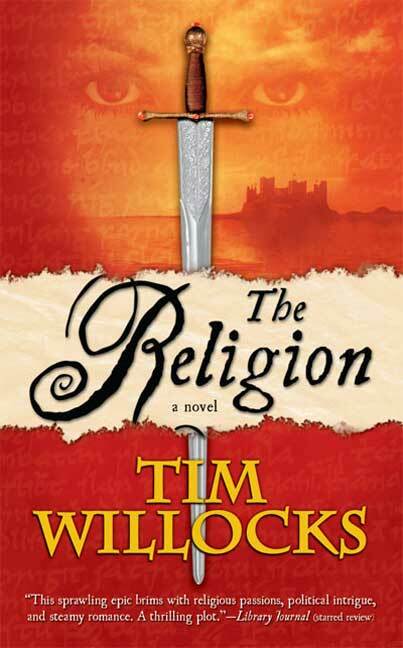 Tim Willocks’ The Religion (2006) is a novel about the siege. The novel starts with young Mattias Tannhauser, a Transylvanian Saxon (yes, they did exist) taken by the Turks as a youth and trained as a Janissary. He would later escape and become a soldier of fortune. Tannhauser takes on the task of finding the son of Countess Carla La Penautier, believed to be on Malta. He arrives in time for the siege, using his knowledge of Ottoman tactics to aid the Knights Hospitaller. If you like a good siege/last stand novel, put this on your list. Willocks is very good with action scenes. He has excellent plots within the novel, good characterization, and good description. There is a romance subplot between Tannhauser and Carla but it is important to the book and not garnish. It is one of the best historical novels of the past 15 years. The novel has 660 pages but it does not drag. George R. R. Martin, take note of how it is done. If the definition of literature is something of enduring value, Tim Willocks’ The Religion meets that criteria. This is a novel that should have appeal across a wide spectrum of readers. It would make a great movie but I don’t we will see that. Willocks’ wrote a sequel (The Twelve Children of Paris) novel set in Paris during the St. Bartholomew Day Massacre which is also incredible. When I heard about The Religion, I found a copy of all places at Dollar General. Lots of Tor books seem to show up there. One store had about six copies. I went back a week later to buy some copies for friends and they were gone. Someone had the same idea. So keep an eye out and check that lone spinner rack at Dollar General for a $1.00 copy of The Religion. You won’t regret it. By the way, the Ottoman siege of Malta ended on September 11th, 1565. Saw a copy at our local library’s Used Book sale yesterday (5-22). Started to read this years ago but must have been distracted as I fdid not get far into it ! Welcome to the Brotherhood of Tannhauser! Wow, would never pick this up based on the cover, but I’ll look for it now. Not only did Timothy Willocks write the best prison riot novel ever, Green River Rising, he also dated Madonna before she dried up and turned into a lizard.